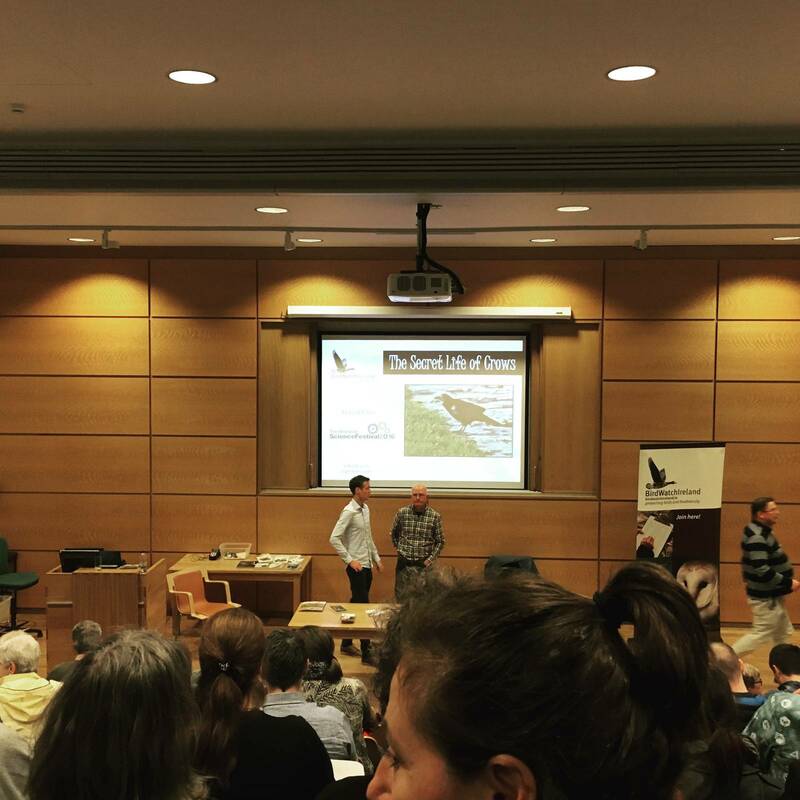 Ricky Whelan (@rickywhelan) of Birdwatch Ireland hosted “The Secret Life of Crows” last night at the Botanic Gardens in Glasnevin. The lecture capped off my gorgeous Autumn evening walk across from the office after work. While in the line I struck up a conversation from a retired New Zealander couple who are out to cycle around the world. They’ve already completed the US/Canadian west coasts and midwest, did a loop of Ireland, and plan to return to the US for more legs soon. That’s one hell of a retirement. Mr. Whelan hosted a fantastic lecture which he packed full of anecdotes and fun details about crows and ravens-corvids! He left me ravenous for information on the topic. Others crowed for more.